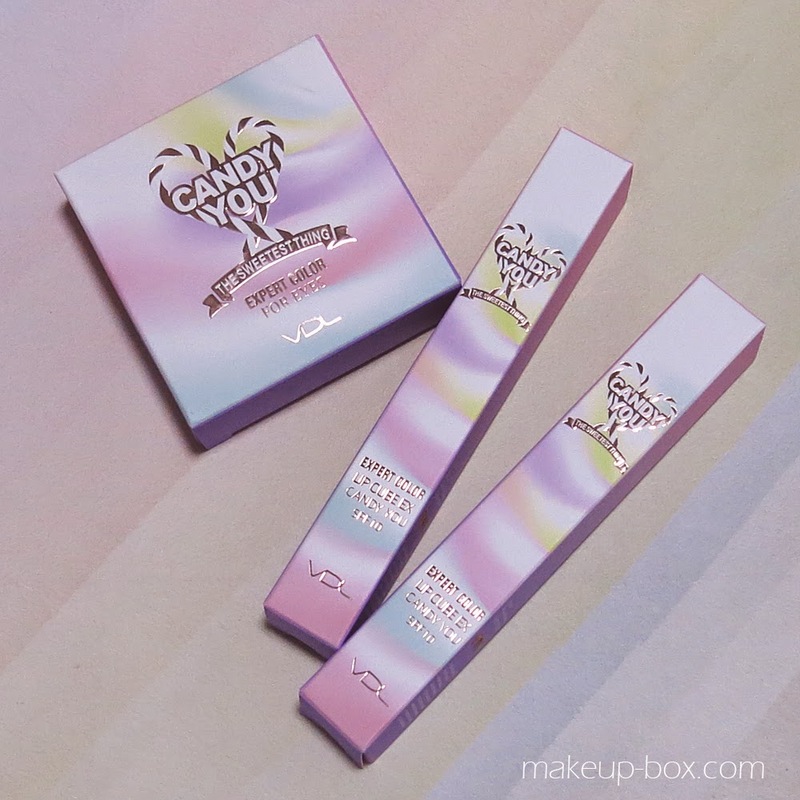 Hip Korean beauty brand VDL's Spring 2015 makeup collection is called Candy You, and features 2 bright matte lipsticks (SGD38) and an eye quad (SGD58) in shimmery spun sugar colors. 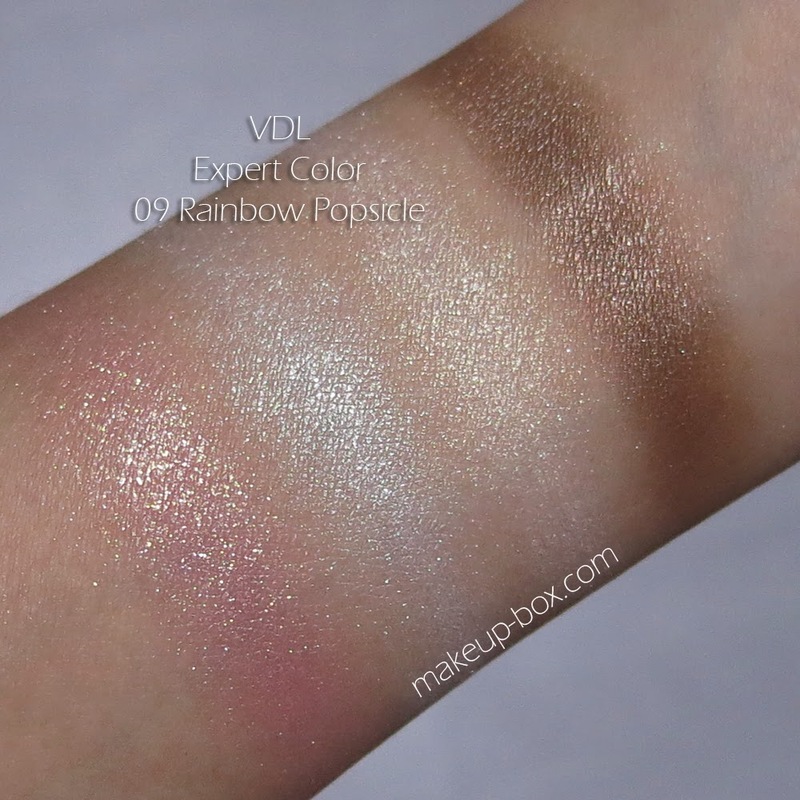 The Expert Color collection is VDL's premium makeup range, and tends to feature richer pigmentation and stronger colors, which explains the higher price compared to their more affordable general line of makeup. The palette is Expert Color 09 Rainbow Popsicle. A very fitting name for the translucent sparkly tones. It's not the most pigmented quad from the line by any means, but the look is mean to be translucent and girly anyway. I would pair these with a brown liner just for a bit more definition, although that brown shade is rich enough to define the socket and lash line in most cases. I would DEFINITELY recommend pairing the pale shades with a deeper one at the lash line (so don't wear them alone). Otherwise you can look a bit puffy and rabbity, as with cases where you're wearing a lot of pale shimmery colors together. The lipsticks on the other hand, pack a lot of wow. The Expert Color Lip Cubes are one of my favorite Asian lip color lines around, for the intensely saturated color and long-wearing performance. 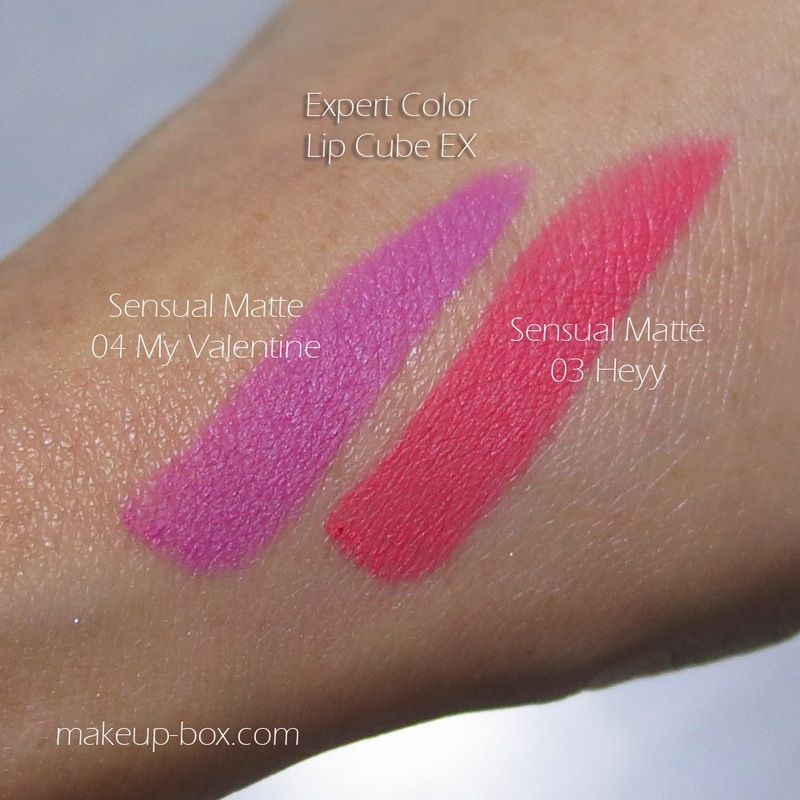 Now they've come out with Lip Cube EX, and the 2 shades in the Candy You range are a "sensual matte" texture. They're similar to MAC's mattes. 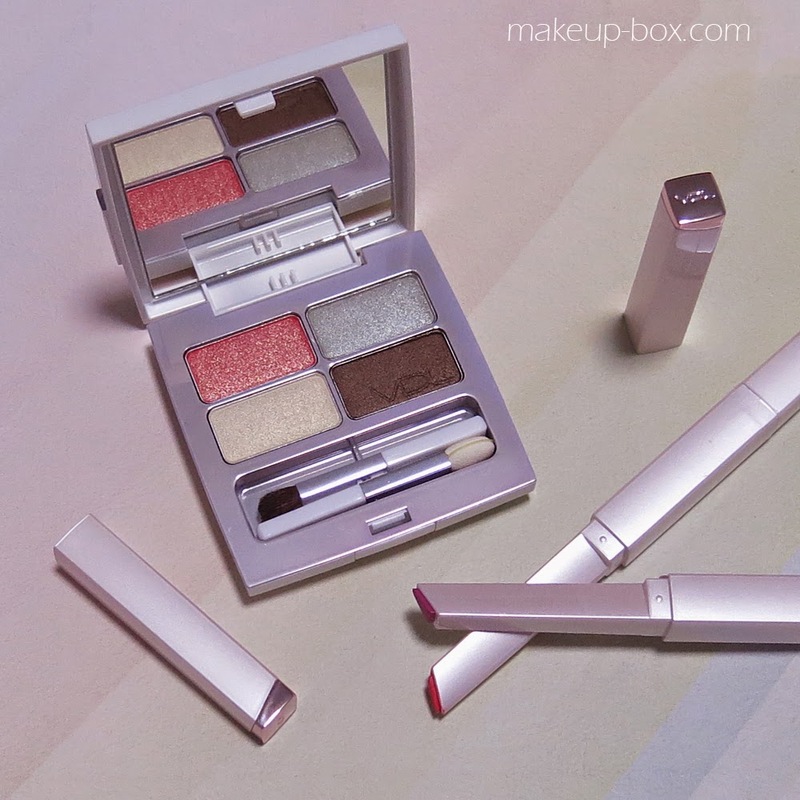 Very creamy and intense but also truly matte. I applied the bright coral, 03 Heyy, over a bit of balm so that's why it looks quite creamy here. 04 My Valentine is a bright purple-pink.